You've experienced a Weekend, now what? Where can you turn for assistance and encouragement? Perhaps your dialogue has gone stale? Well, there is good news! The help and support you received during your weekend can continue through the Worldwide Marriage Encounter community. Fortunately, in WWME we never walk alone. Like the church, we are called to grow together in our faith and support each other in our Sacrament. In a recent meeting between our leadership and Cardinal Antonelli, President of the Pontifical Council for the Family, he spoke about evangelization, defining it as based on each person's ability to meet Christ and transfer that experience to others. In the New Evangelization, the Gospel is transferred "through" people. He said that Christ calls us to be "one in the family", pray, hear the word of Jesus and love each other beginning in the family and then network between families. Small groups of families are the real experience of the Church. 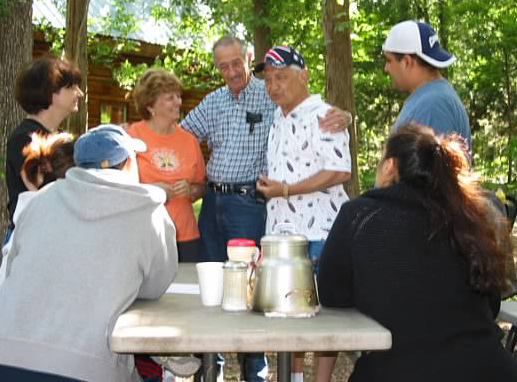 WWME offers small group settings where couples and families can be "one in the family." After your weekend, you are invited into the Arkansas WWME Community. This Worldwide Marriage Encounter Community offers many events but, in particular, small group communities or "circles" in your area where you can "Continue the Journey" and grow together in faith. Couples in these communities support each other in living out their sacrament of marriage by continuing to explore topics related to faith, marriage and family life. Our larger community also offers events throughout the year that foster and enrich our marriages and relationships with each other. Belonging to a Worldwide Marriage Encounter Community is like having an extended family; people who genuinely care about you and are there to share your good times and walk with you during your troubled times. These community pages of our website offer information on community, inviting and living the WWME lifestyle. If you find that you still need more information, please contact ford@arkansaswwme.org for assistance.